Developing a solid and responsive database is one of the best marketing assets you can develop for your business. It is the secret no matter what “the economy is doing” for you to have some control over how many customers you have in your pipeline. To assist my clients in developing a solid list building protocol I have put together this awesome document and checklist that I have entitled the Email Marketing Battle Plan and I would like you to also have a copy of it as it will set your business up to prosper both now and into the future. Studies have shown that 80% of your income will come from 20% of your customers. Therefore, repeat buyers are the key to success in business, no matter the state of the economy. And the best way to get repeat buyers is through building relationships, and one of the best ways to build relationships is through email marketing. Unfortunately, many business owners find it to be stressful and frustratingly slow to build a solid and responsive mailing list. But if done correctly, it doesn’t have to be either of these things. 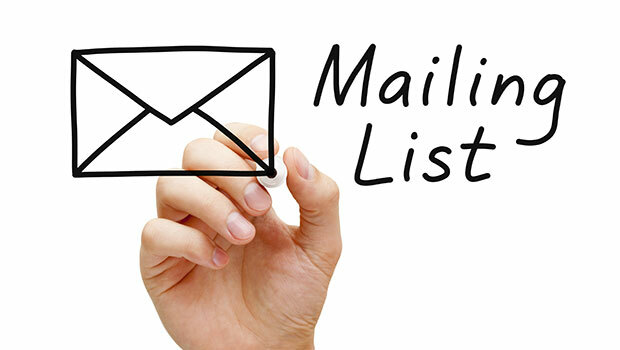 This guide provides you with the tools and information necessary to start building a mailing list full of action takers. If you are ready to quickly grow your mailing list, then claim your access right now, It’s absolutely free.